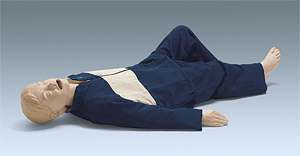 The manikin for child advanced life support skills education. 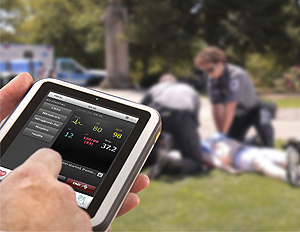 Works with the SimPad System to provide highly effective training in advanced life support, targeting key skills of advanced life support providers. Scenarios available from the SimStore library provide standardized training while customizable scenarios and real-time instructor control allow adaptation to meet an individual student's needs. Includes Full Body Manikin, Multi-Venous IV Training Arm, Intraosseous Leg, Manikin Lubricant, Jacket, Pants, Carry Case and Directions for Use. SimPad System is not included, to be ordered separately.